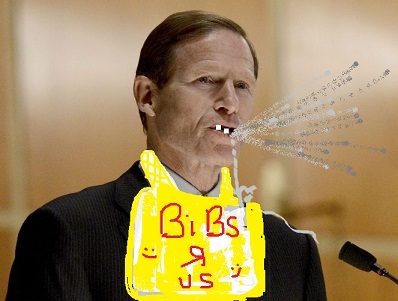 Home → Across America → Senator Richard Blumenthal Ready to Quit the Senate for Voice Over Work. Senator Richard Blumenthal, the Democratic Senator from Connecticut, has announced that he will quit before his term is up in order to pursue a career in acting and broadcasting. Blumenthal’s actions come as quite a shock to many. especially since he’s been working so hard at disrupting the Judge Kavanaugh Supreme Court Induction Hearings. Some on the Left and Right have accused Blumenthal of spitting in the face of justice, but the sadly lucrative truth is that Blumenthal will spit in the face of anyone because he has a really bad speech impediment — an impediment that has caused him to seek well-paid employment elsewhere. 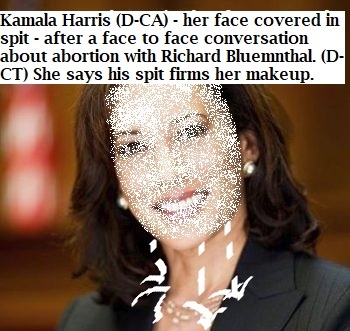 While Harris’ words may sound rather insulting or snide, they hit at the core of why Bluementhal is leaving, and why he was recently hired by Cartoon Network to do voice-over work for Warner Brothers and the Cartoon Network. 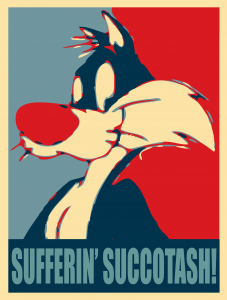 Beginning in 2019, Blumenthal will be the new voice of none other than Sylvester the Cat for the a new run of the old show on Cartoon Network. Warner Brothers has failed to answer questions about Blumenthal’s pay scale as the voice of Sylvester the Cat, but sources close to Watergate journalist and fiction writer Bob Woodward think it might be close to $2 million per year — or about $100,000 per episode. NOTE: All shorces –er — SOURCES for this article are anonymous and were provided to the Damien Zone by Bob Woodward.